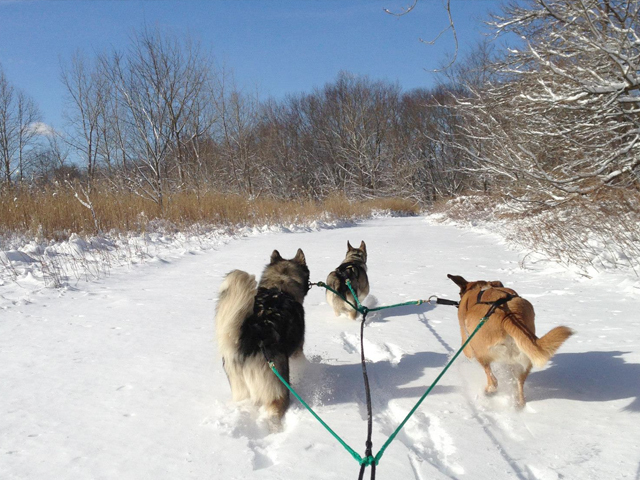 If you follow more than one mushing blog, you’re probably reading the same thing over and over. This season has been pretty terrible. It seems like more races are being canceled than are actually taking place. We’ve been doing runs here and there, mostly on our local trail. Trips to the Pine Barrens have been tough, mostly due to not having a “handler” (AKA boyfriend) this season. My newly built trailer was about ready to haul my 90-pound rig down to the Pines this past weekend, but – of course – I didn’t need it. We finally got some snow! Something like seven inches. 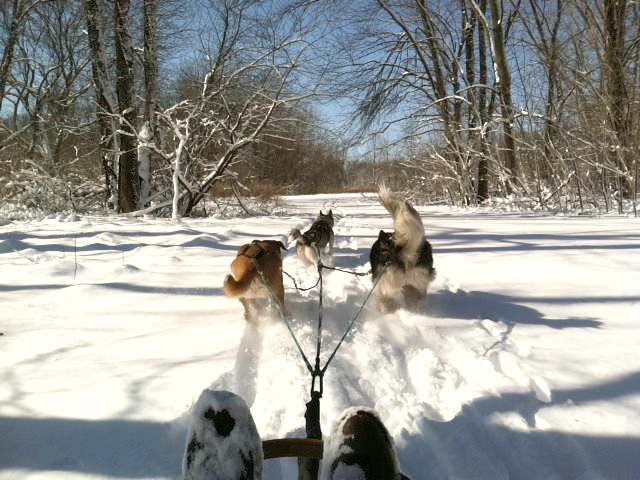 This was the first time I’ve had all three dogs pull the sled (last season Knox was still too little). They did great! 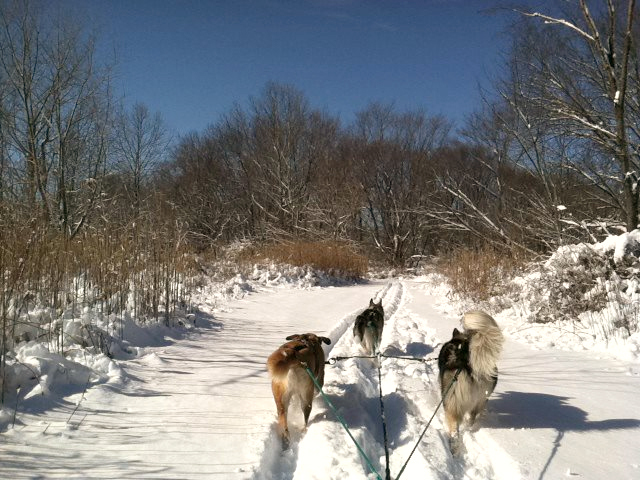 They had no problem pulling me, but they got a workout while breaking trail and when I added a passenger to the sled. Our runs were brief with long breaks in between to avoid injury, and they were ready to run each time we hooked them back up. I did some experimenting on the second day of sled runs. I had them run through an open baseball field to test Denali’s commands. She wasn’t really on her game, but I attribute that to her being tired and the snow being extra deep. After we broke a trail through the field, she ran it again with no trouble. On our very last run, I bumped Knox up next to Denali. She was starting to lose focus, and having him next to her seems to spark her competitive nature and keep her sharp. Dexter still needs a running mate, though, so I don’t think I’d do this permanently. Really, what I need is a fourth dog. One day!